Branscombe is considered one of England’s most picturesque villages, and it is here you will find the award winning 14th century Masons Arms. 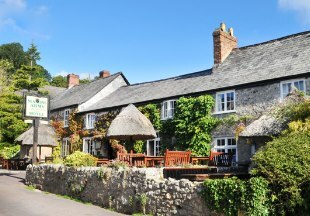 Just a ten minute stroll from Branscombe Beach, the inn is the perfect place from which to enjoy the seaside and the spectacular walks along Devon and Dorset’s Jurassic Coast. Just 4 miles from Exeter, the 16th century Globe at Topsham has recently been renovated. The relaxing interiors ooze character - sit back, relax and enjoy speciality coffees, fine wine and award winning ales. Enticing menus place an emphasis on local produce with daily specials making the most of seasonal ingredients. The boutique-style hotel bedrooms are stylish and inviting with free WIFI throughout. VisitEngland 4 Star Inn. The Belfry Country Hotel is a wonderful place to unwind and relax. Situated in Yarcombe, a picturesque farming hamlet at the gateway to Devon, the Belfry was originally the village school commissioned by the descendants of Sir Francis Drake. A Boutique Bolthole in the Blackdown Hills, the luxury en-suite accommodation is complemented by a superb wine-list and menu comprising the best of local cuisine. VisitEngland 4 Star Restaurant with Rooms. 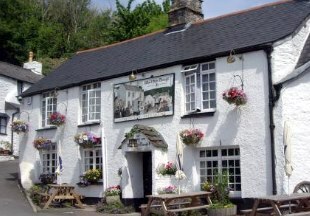 Situated on the edge of Dartmoor National Park, this lovely thatched inn is the oldest pub in Devon, dating back to 825AD and mentioned in the Domesday Book. The inn offers good food, comfortable en-suite rooms and a peaceful village location. 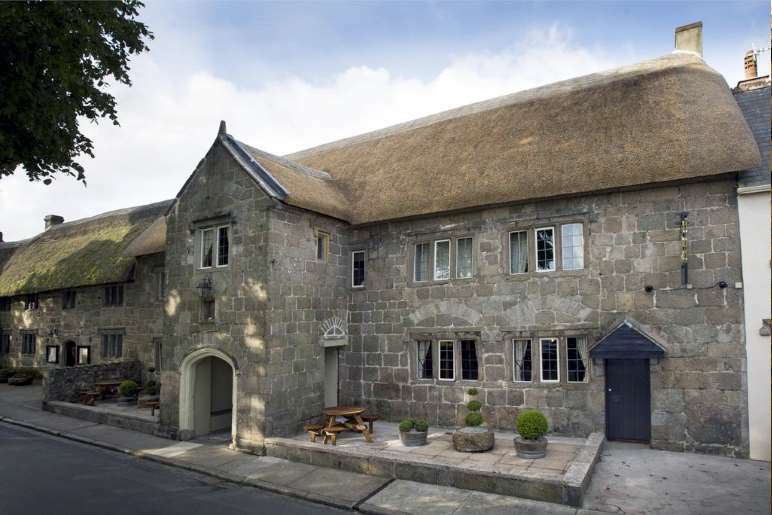 Following a magical renovation, this beautiful thatched 5 star Devon Inn sits in the heart of Dartmoor and is warmly elegant with stone walls, inglenook fireplaces and beamed ceilings. The upgraded boutique hotel bedrooms are cosy, stylish and inviting. This lovely 18th century English country inn offers a relaxed, friendly atmosphere, log fires, award-winning restaurant, carefully chosen wines and fine local ales. Walk straight from the front door onto Dartmoor! 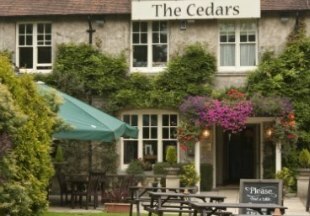 The Cedars Inn is set in three acres of beautiful grounds on the outskirts of Barnstaple close to the stunning North Devon coast. 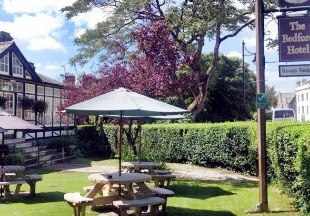 The inn serves great pub food and on a sunny day, enjoy a meal or a drink in the pretty gardens. The Fisherman's Cot enjoys a lovely riverside setting on the banks of the River Exe at Bickleigh. 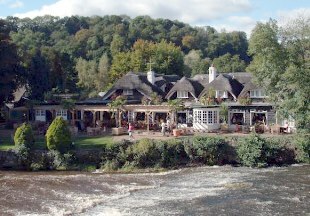 One of the most picturesque inns in Devon, it boasts beautiful gardens from where customers can enjoy the stunning river setting. Food is served all day from our menu, created using local ingredients wherever possible. 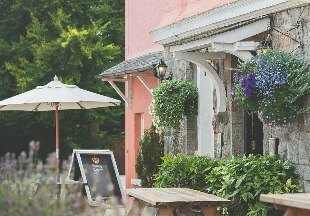 Enjoy a glass of wine from our excellent wine list or a pint of real ale and relax in this beautiful pub..
A charming Devonshire 17th century coaching inn situated in the centre of Bovey Tracey. 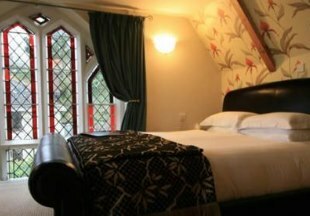 The inn has been beautifully refurbished and offers 12 well decorated, comfortable en-suite rooms. The restaurant offers excellent food with daily specials, whilst the bar boasts a wide selection of award winning ales, lagers, ciders, wines and spirits. Free Wifi throughout. Just one mile from the bustling harbour at Brixham and at the heart of the English Riviera, this glorious country inn is hidden away from the crowds down a sleepy country lane. 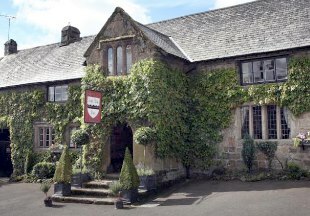 The magnificent 12th century inn simply oozes history and character with antiques, oil paintings, candlelit dining and even suits of armour! But fear not, all the modern comforts are available, with some of the en-suite rooms boasting four poster beds and roll top baths. With its steep, cobbled street leading down to the ancient harbour, Clovelly is one of the most picturesque fishing villages on the north Devon coast. 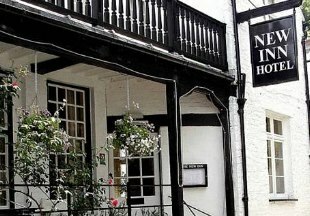 And the 17th century New Inn is right at the heart of the village; guests’ luggage can be transported to the hotel by sledge! 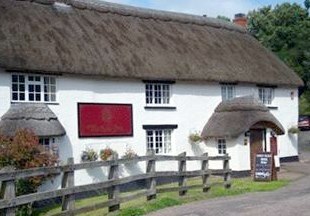 The New Inn is a 13th century thatched country inn situated in a pretty, secluded Devonshire valley. Boasting a 4 star B&B award, accommodation at The New Inn features king-sized beds, flat screen televisions and large fluffy white towels. For delicious, fresh, West Country food, you can choose to eat in The Hayloft restaurant or in the Bridge Bar, where the cosy log fire is lit during the winter months. Finally, keep a look out for the resident talking parrot called ‘Captain’… nobody is spared his cheeky comments! 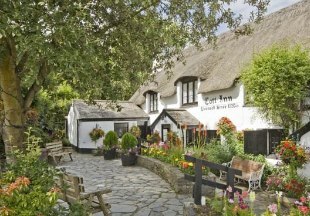 One of the oldest thatched inns in Britain, the 13th century Cott Inn is situated in the village of Dartington between Dartmoor and the spectacular South Devon coast. The inn boasts modern, boutique-style en-suite bedrooms with original wooden beamed ceilings upstairs, and a rustic country pub ambience downstairs. 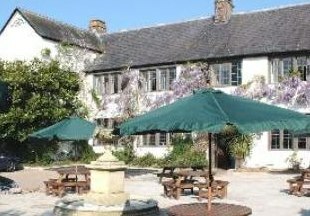 There is a pretty picturesque garden and in the bar guests can enjoy a range of drinks as well as daily food specials prepared using locally-sourced produce. Dogs welcome. One of Exeter’s oldest inns, the White Hart retains much of its character and yet offers all the modern comforts expected today. Situated within the old city walls, the hotel offers a choice of areas to dine, an extensive selection of freshly cooked dishes and a comprehensive wine list, as well as 55 comfortable en-suite guest rooms. An ideal choice for business or leisure travellers. Set in the popular historic fishing village of Hope Cove in the South Hams of Devon, the Hope and Anchor Inn offers en-suite guest rooms, most with breathtaking views of Bigbury Bay. 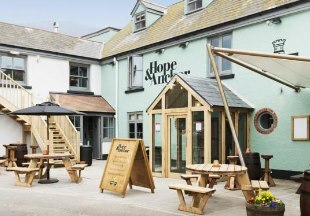 There is a lovely area outside with tables and umbrellas so you can enjoy the atmosphere of Hope Cove whilst enjoying our fine ales, lunch or an evening meal. Situated just yards from the sea, our friendly inn caters for all. 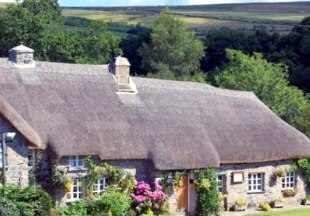 Set in the beautiful north west corner of Dartmoor between Okehampton and Tavistock on the A386, two miles south of the A30, the thatched Bearslake Inn enjoys spectacular views from the garden and restaurant across to the moor. Here good food is very important; our kitchen team like to cook from fresh, using local ingredients. Bearslake Inn has a coveted “AA Dinner Award". Dogs welcome. AA 4 Star Inn. This lovely 14th century thatched inn oozes character with crooked staircases, narrow passageways and low beams. 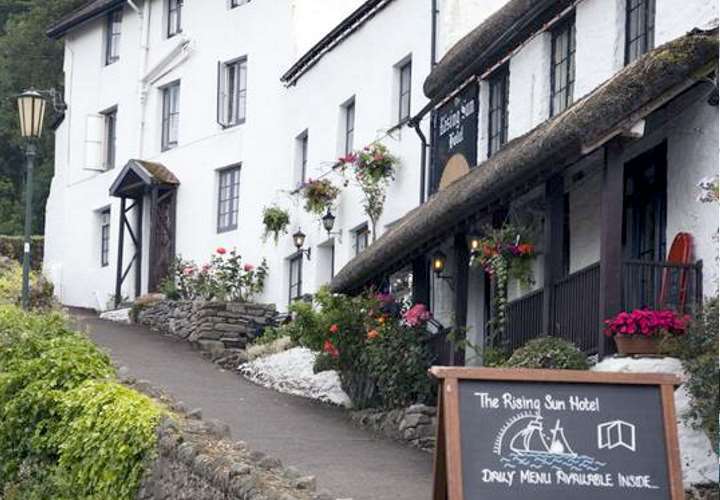 The Rising Sun enjoys a superb setting overlooking the pretty harbour and Lynmouth Bay, and is situated on the edge of Exmoor. 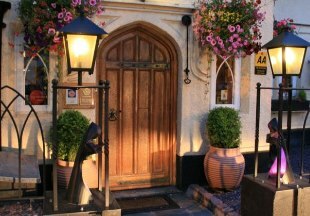 The atmospheric candlelit restaurant serves classic British cuisine, including local game and Lynmouth lobster. The cosy bar offers free Wi-Fi, real ales and hearty cooked breakfasts. Brimming with original features, the bedrooms feature luxury bathrooms, some with free standing bath. At The Who'd Have Thought It Inn, your comfort is our number one priority. We offers luxurious en-suite rooms with vaulted ceilings, original oak beams and wireless broadband. We are passionate about our food. Our chicken, pork and eggs are free range, our steak is Dartmoor beef and our vegetables are locally sourced wherever possible. 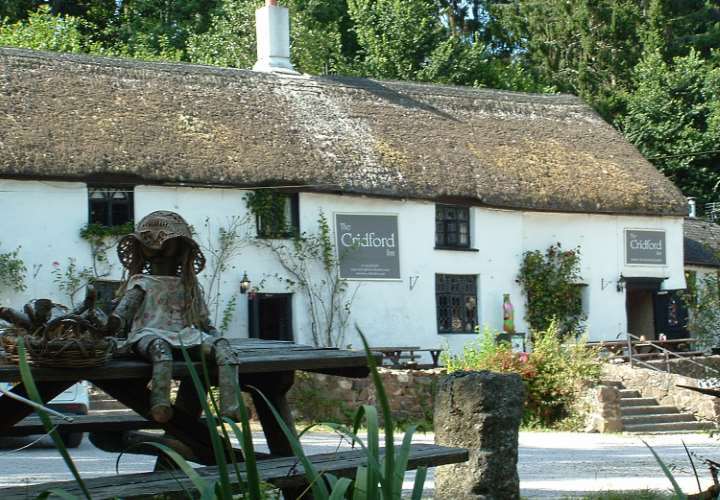 This quintessential 16th century inn is set in the pretty village of Milton Combe on the edge of Dartmoor, just 10 minutes drive from the outskirts of Plymouth. A stunning beautiful Grade II Star listed building and former 12th century monastery. Now a beautiful Inn with 5 English Oak four poster rooms, a double and twin room. Sensational Bar food and AA Rosette restaurant. Set in the heart of of Devon’s most beautiful villages with its own gardens with Dartmoor views. Welcome to the Fox and Goose on the edge of Exmoor. This lovely traditional inn offers just three elegant bedrooms, all beautifully refurbished with large rain showers and underfloor heating in the bathrooms. Our great pub food is lovingly produced from locally sourced ingredients wherever possible. Originally a Salt House used by the Benedictine Monks, this 16th century boutique hotel in Sidford by Sidmouth offers six luxurious rooms and a mini-spa with hot tub, sauna and fire pit. The two AA Rosette Restaurant offers a memorable dining experience with modern British dishes and extensive wine list. Luxurious rooms with many thoughtful extras, spa baths, hydro massage showers etc. 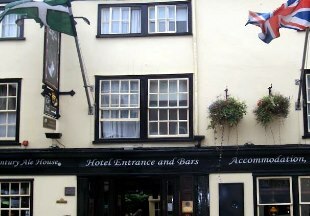 The Bedford Hotel is set right at the heart of the market town of Tavistock on the edge of Dartmoor. Tavistock is famous for its pannier market, just a short stroll from the hotel which is built on the site of Tavistock Abbey. The monks of this Benedictine abbey are thought to be responsible for creating the famous Devon Cream Tea! Enjoy a bar meal in our friendly bar or take afternoon tea in our walled garden. AA Rosette for food. Set in a stunning riverside location within its own 60 acres of private grounds, the Two Bridges Hotel boasts an AA Rosette restaurant and beautiful bedrooms with views across Dartmoor, many with four poster beds and double spa baths. 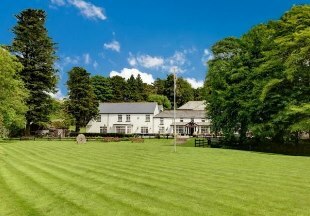 Relax in the cosy lounges in front of the blazing log fires at this oasis at the heart of Dartmoor just 20 minutes from Plymouth and 45 from Exeter. Dogs welcome. Devon is home to the stretch of pretty coastline known as the English Riviera as well as mysterious Dartmoor and Lorna Doone's Exmoor. Exeter has a delightful historic centre centred around the impressive Gothic cathedral. The county boasts both north and south coasts, with resorts like Ilfracombe in the north and Torquay in the south. Devon is also famous for its delicious cream teas - and pasties! Whilst the Cornish pasty may be more famous, the oldest pasty recipe dates from 1510 and comes from Plymouth. To get the most out of a stay in Devon, stay in an inn or small hotel in the countryside. 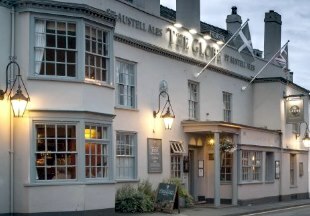 Chat with the locals in the pub bar and then dine on the best of local produce in the restaurant. Don't worry if you enjoy a little too much local cider or real ale, stay overnight and then indulge in a full Devonshire breakfast to set you up for the day! We have selected a mixture of seaside inns, gastro pubs, restaurants with rooms and country inns in Devon for you to choose from. "Devon abounds with picturesque villages, where traditional Devon longhouses and thatched cottages nestle together around an ancient church and pub. 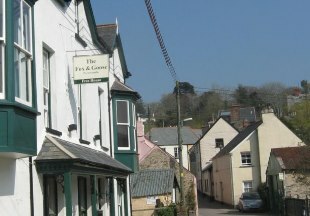 The New Inn is set in just such a village in a secluded Devonshire valley. The 14th century Masons Arms also enjoys an idyllic village setting. A former cider house, it has the added bonus of being just a stroll from the beach!" 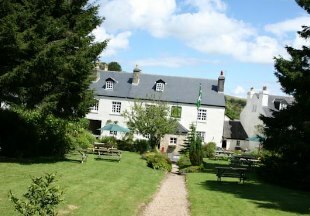 Have you also checked out our selection of hotels and inns on Dartmoor and Exmoor? If you want to widen your search further, Devon is bordered by Cornwall, Dorset and Somerset. 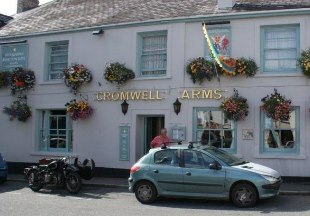 Why not browse through our selection of hotels and inns in Cornwall, Dorset and inns in Somerset. Devon is bordered by Cornwall, Dorset and Somerset. If you want to widen your search, why not browse through our selection of hotels and inns in Cornwall, Dorset and hotels in Somerset.